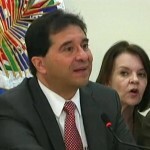 Home » Featured, Foreign Affairs, Regional / International » Road to ICJ starts with Foreign Minister in Guatemala with OAS Reps. 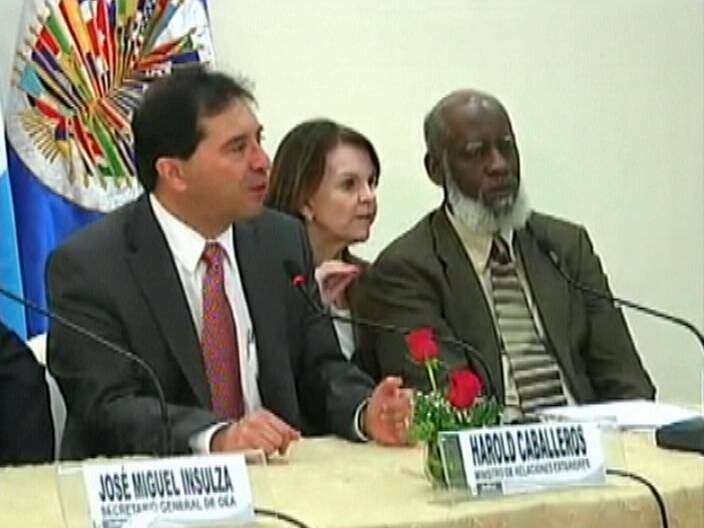 In Guatemala City this morning, the Foreign Ministers of that country and Belize along with the Secretary General of the OAS, met with the Group of Friends. 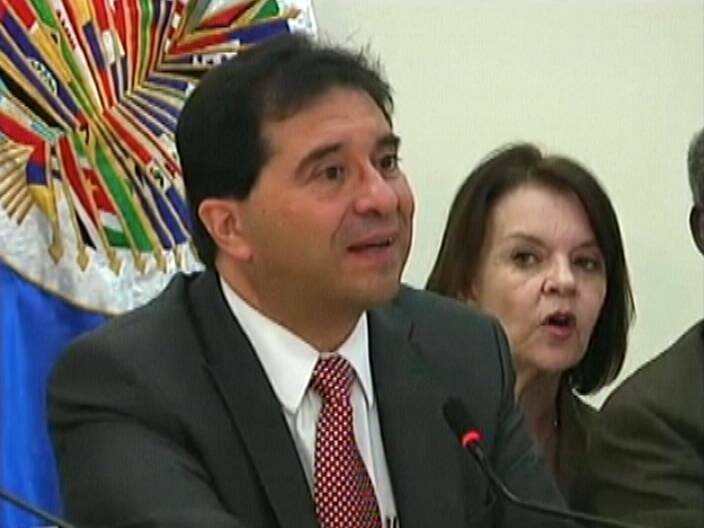 The GoF comprises a number of members of the OAS and Britain who have come together to give support to the process of taking the territorial dispute to the International Court of Justice. 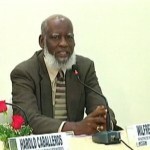 The topic was the financing of the public awareness campaign that will lead to a simultaneous referendum on October sixth, 2013 on whether or not the territorial dispute is to be settled by the ICJ. The question will be the same in both countries, but Guatemala is pressing full steam ahead and today Harold Caballeros announced the government was launching the public awareness campaign. 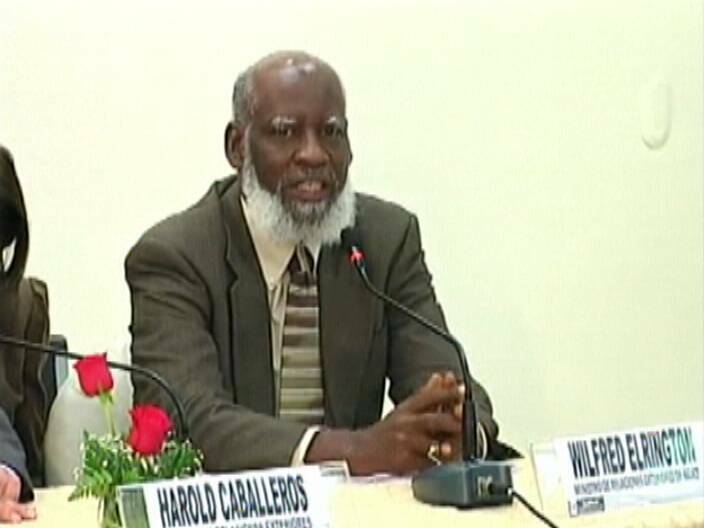 Both he and Wilfred Sedi Elrington made statements to the press on the results of their meeting. A News Five team of Marleni Cuellar and Rick Romero headed to Guatemala to bring you the latest information on this issue of national importance. Assuming we win at the ICJ, who will guarantee our borders and our independence? Guatemalans will never give up their desire to annex the Jewel, and it will remain in their Constitution so it will live on as a political mandate for their governments. Without an international guarantee that our borders WILL BE DEFENDED WITH ADEQUATE FORCE, there is no upside to this ICJ process. Why do we need to give away anything knowing this incompetent Elrington he has probably given away half our country already I say not an inch not an inch of land should be given up out barrow out udp guan resign barrow resign. I don’t agree in going to the ICJ for what? we are independent country we have more to loose with this slumpy, slappy gov. that is afraid to speak for the jewel. So let’s not vote for the ICJ cause we don’t need it. if we do, it will prove that we’re not sure yet of our independence as a country. Guatemala has nothing to loose we yes our Jewel. @Storm……… Woke up on top of the world, after watching the realization of defeat creep into Obama’s facial features. Did you see the boy’s donkey ears getting bigger by the minute? Life’s great then it happened. I stumble across your stupid post here in this blog. How can you write such assinine stuff? There is no such thing called the annexation of Belize in Guatemala’s constitution. Where do you get your half @$$#$ crazy ideas? Who will guarantee our independence? What a dumb @$$ question. Storm what planet are you living on? You are so washed up and stucked in yesteryears. Let me put it in childlike fashion for you. You have a kid. He grows up and moves out on his own. He rents an aprtment to live in. Who will be responsible for rent payments? Senility should be a crime. this is a critical issue & Sedi better no give away/lease any LAND to Guatemala. Most countries in the MIDDLE EAST FIGHTING TO protect their BIRTHPLACE & we need to do the same. NO LAND CESSION. 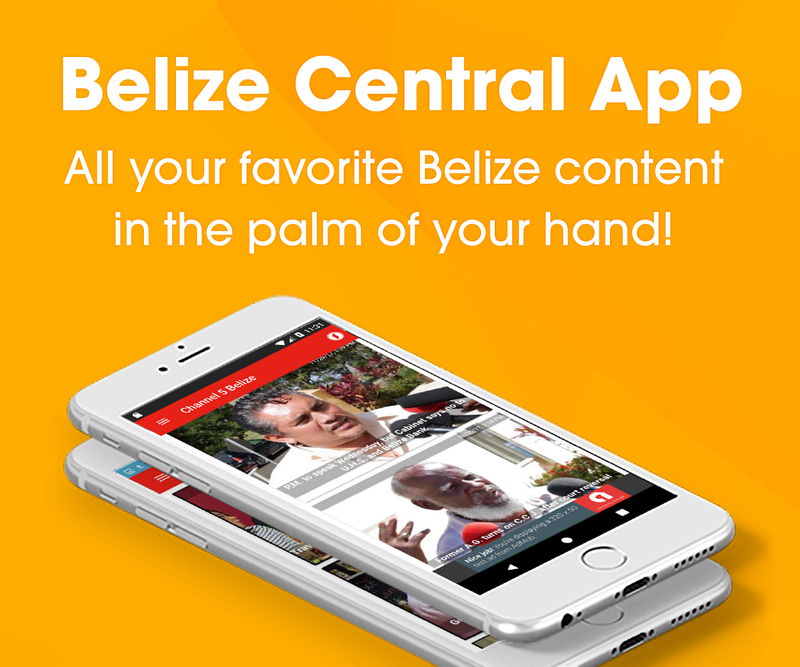 I agree with Belizean Pride. We have nothing to go in front of ICJ for. Storm is also correct, we need a border force to deal with all the Guats coming across the border thinking they can run things in Belize. You have a nice day, too, Uncle Benji. It is embarrassing how illiterate so many Belizeans are. I hope that the rest of the world is not reading these posts. The third world mentality and lack of education and common sense is appalling. Anyone with half a brain and an inkling of understanding of Guatemala will agree that they may sign an ICJ treaty but that does not mean that they will enforce it. They will continue to look the other way as their masses surge across our borders. Unfortunately, the only way to stop them is to fortify our borders and everyone knows that we do not have the financial capability or political will to do that. Our only hope is to allow the U.S. to use our border lands as a training field and maybe that will deter the incursions. It will also bring in much needed financial windfalls and technical assistance. Wouldn’t it be nice to have helicopter medivac capabilities again. Not to mention the deterrence it would present to the drug cartels. The Zetas control the Peten now and what is stopping them from cruising right through Belize? One thing I have noticed in people representing our country abroad is their lack of knowledge in selecting clothing for special occasions. People please ask for assistance if you don’t know how to dress accordingly and represent us with pride. when you see guats salary of 25 quetzal a day wich is less than bz$8, we will then say no to ICJ.